Since the beginning of cinema as a universally shared human interest some one hundred years ago, readers who also love movies and movie fans who must read the book on which a movie is based have argued the age-old debate: the book was better than the movie or the movie was better than the book. Rosemary’s Baby is one of those rare instances where the novel and film exist on equal footing. Ira Levin’s streamlined suspense thriller was a huge bestseller in the mid-sixties. 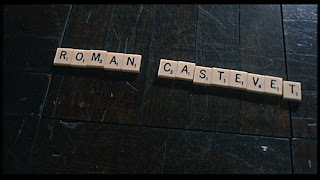 In hiring shlockmeister William Castle as producer, Paramount Pictures probably wasn’t counting on much more than a standard Gothic potboiler. For reasons known only to him, director Roman Polanski chose to pursue a very literal adaptation of the novel in his self-penned screenplay. A workman at a sculptured green door marked 7B looked at them and turned back to fitting a peepscope into its cut-out hole. Mrs. Castavet was wrapped in light blue, with snow-white daubs of gloves, purse, shoes, and hat… He was dazzling, in an every-color seersucker jacket, red slacks, a pink bow tie, and a gray fedora with a pink band. Rosemary looked outside the door. She could see only the end of the living room that was bridge tables and file cabinets; Guy and Mr. Castavet were at the other end. A plane of blue cigarette smoke lay motionless in the air. This last one is one of my favorite shots in the movie. Only after seeing the movie or knowing the story do we realize in retrospect that this is the scene wherein Guy Woodhouse seals the fate of his unborn child. This shot also establishes an ongoing motif in the film, that of feral eyes watching the proceedings. 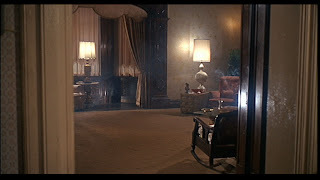 Notice how many times two lamps, or two lighted windows in another wing of the apartment building appear as eyes. 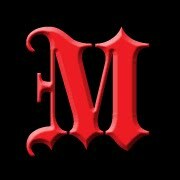 While the book and movie follow the exact same story line to the point where the dialogue is lifted verbatim from the novel, through this and other cinematic techniques Polanski is able to create a palpable sense of paranoia which isn’t present in the novel. The book reads as a tongue-in-cheek parody of a Gothic Romance with Guy and Rosemary moving into the haunted house despite the warnings of the superstitious villager, appearing here in the character of Rosemary’s friend, Hutch. This speech from the screenplay sets the tone for this house of horrors into which Rosemary and Guy have moved. And for anyone who has lived under a rock for the past forty-five years or is simply too young to have caught wind of this classic, Rosemary winds up pregnant after dreaming of being raped by the Devil, and rapidly dissolves into paranoia believing the clan of geriatric neighbors in her apartment building are actually a coven of witches intent on sacrificing her unborn child to the Dark One. During the 1960s and 1970s, Ira Levin wrote a handful of suspense novels which have gone into the public consciousness both from written versions and film adaptations. We all know what it means to be a Stepford wife, we all know what the boys from Brazil are, and we certainly know the fate of Rosemary’s baby. And we certainly know what happened to the horror film in its wake. Rosemary’s Baby grew up to be the son of Satan in The Omen and a thirteen-year-old girl possessed by the African demon Pazuzu in The Exorcist. In a 2002 interview with the Los Angeles Times, Levin expressed his dissatisfaction with the tide of popular Satanism his work appeared to unleash. 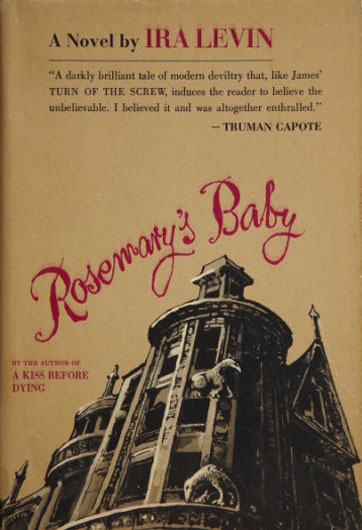 If you have never read Rosemary’s Baby or haven’t read it in awhile, what better time of year to pull it off your shelf, check it out at the library, or buy it via One Click for your Kindle (currently 2.99 USD). Pop in the movie and follow along. If you’re like me and a couple of my more colorful friends, you’ll enjoy saying the dialogue along with the film. You’re in Debrovnik. I don’t hear you. Shh, I think I hear the Trench Sisters chewing. Who the hell is KEITH KENNEDY??? ?